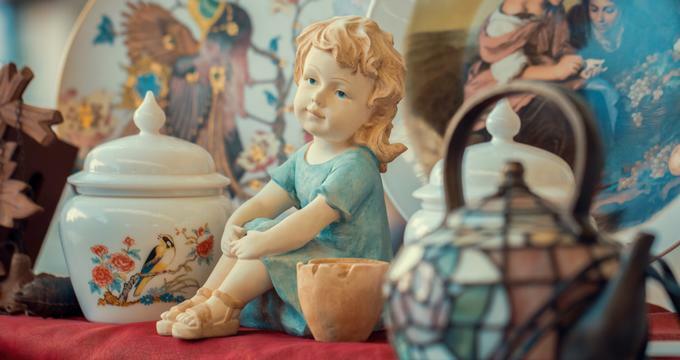 Indiana not only boasts beautiful landscapes of rolling farmlands, dense forests, tranquil lakes, and quaint little towns – the state is also home to an array of flea markets that attract bargain hunters and shopaholics looking for hidden treasures. From strolling around stalls and looking for antiques and collectibles to haggling with vendors over that “special” item, Indiana has a variety of family-friendly flea markets with something for everyone. Here is a list of flea markets around the state that sell everything from clothing to collectibles. The Bargersville Flea Market is set on 10 acres of land and has been providing a fantastic outdoor destination for vendors to sell their wares and for collectors to find treasures for over 40 years. The market sells a wide variety of products, ranging from local produce, fruit and vegetables, nursery plants and trees to arts and crafts, books and DVDs to antiques, electronics, clothing, toys, power tools, and more. The Bargersville Flea Market also offers a variety of food and beverages and visitors can enjoy breakfast and lunch while exploring the market’s goodies. The Bargersville Flea Market is open every Sunday from 5:00 pm to dusk. The B-Town Flea Market boasts 12,000 square feet of space with over 70 vendors selling a variety of wares from fresh local produce and handmade clothing to antiques, furniture, pet goods, and personal gifts. Owned and operated by Jereme Fox, the B-Town Flea Market is a landmark destination in Bloomington that aims to provide a clean, friendly place in which to shop. The B-Town Flea Market is open from Monday through Saturday from 10:00 am to 6:00 pm and Sundays from 12:00 pm to 5:00 pm, 7 days a week. The Collector’s Carnival Shows hosts two-day shows, four times a year, where a plethora of items are sold, ranging from antiques, vintage collectibles, repurposed items, and coins to pottery, primitives, furniture, home decor, and more. The shows are held on Saturdays on the Vanderburgh Co. Fairgrounds in four buildings and several outdoor spaces, which are ideally designed for multi-level marketing and direct sales of all kinds of merchandise. From old bric-a-brac to hidden treasures and one of a kind finds, the Collector’s Carnival Shows attract a wealth of visitors from around the state to explore the stalls. 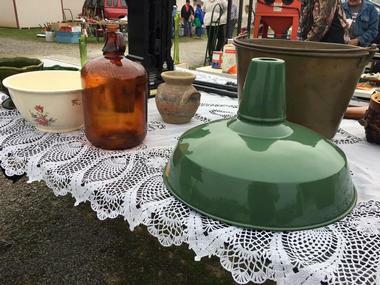 Founded by John and Hazel Lynch, the Croy Creek Traders Fair has been providing a family-friendly flea market for the community for over 48 years. Established in 1970, the market is open on Saturday and Sunday, year round, and offers plenty of ample parking and several concession areas in the east, middle, and west fields. The concessions provide a range of delicious food and beverages for breakfast and lunch, along with snacks on the go throughout the day and special homemade plates. One of five flea markets, the Emporiums are well-established community markets with beautifully decorated booths that sell a variety of antiques, vintage collectibles, arts and crafts, and other hidden treasures. Other Emporium markets include Beech Grove, Emporium 40, Emporium 1101, and Muncie Emporium, all of which have numerous stalls and vendor set-ups, along with food and beverage concessions. Emporium 31 is open Monday through Thursday from 10:00 am to 7:00 pm, Fridays and Saturdays from 10:00 am to 8:00 pm, and Sundays from 10:00 am to 6:00 pm, year round. The Friendship Flea Market is a nine-day event held in June every year in the town of Friendship, Indiana. 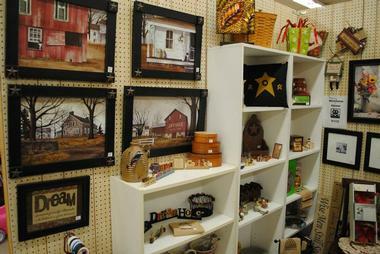 Hailed as being one of Indiana's unique flea markets and antique shows, this annual event has been welcoming visitors and vendors since 1968 and showcases a variety of products ranging from antiques, furniture, and home decor, to jewelry, clothing, tools, toys, and handicrafts and gifts. The market has over 500 vendor stalls and also houses food and beverage food concessions as well as live country music on the weekends, free parking, and camping sites for tents. Ripley County offers a wealth of outdoor activities to enjoy, including hiking, mountain biking, swimming, horseback riding, and boating in Versailles State Park, along with live music festivals and other events. Located in Low Bob’s Tobacco E Washington, Irvington Flea Market has been a staple of the historic northeast side of Indianapolis for the past 24 years. Set within one of the city’s most diverse and historic regions, the market is a real flea market with numerous vendors selling second-hand, vintage, and antique collectibles, handcrafted and homemade items, gifts, objects, and other treasures. The Irvington Flea Market also features several food and beverage concession stands that sell delicious homemade fare for breakfast, lunch, and snacks throughout the day. The Irvington Flea Market is open Fridays, Saturdays, and Sundays, from 10:00 am to 5:00 pm. Me & My Sisters Flea Market is a family-friendly flea market in Shelbyville that features over 7,000 square feet of space that houses more than 75 vendors selling a variety of antiques, vintage collectibles, repurposed furniture, handmade clothing, home decor and lighting, and arts and crafts. The Me & My Sisters Flea Market also has a separate building with second-hand furniture as well as a wide range of Bass Farms Indiana Goat Milk Soap Skin Care Products. Me & My Sisters Flea Market is located less than half a mile from Southwest of I-74 on E State Road 44 and is open from Monday through Friday from 10:00 am to 6:00 pm, Saturdays from 10:00 am to 5:00 pm, and Sundays from noon to 5:00 pm. Mick’s Flea Market is a community flea market that sells a variety of antiques and collectibles, furniture, and everyday items, both new and used. Open Monday through Saturday from 11:00 am to 6:00 pm and Sunday from noon to 6:00 pm, the market is located on E Main Street in Gas City and features numerous vendors selling an array of goods, homemade food, and beverages, repurposed furniture, home decor and lighting, handmade clothing, and arts and crafts. The Nostalgia on 9 Flea Market is housed in the 12,000-square-foot old Shelby Township School, a historic building that was built in 1928 and officially opened in 1929. Perfectly designed for housing vendor stalls and boasting a vibrant flea market atmosphere, the building is named for its location on State Road 9 and is nestled between rolling cornfields and country roads on 3 acres of Hoosier countryside. The family-friendly market provides space for a wealth of vendors selling a range of antiques, vintage collectibles, repurposed furniture, handmade clothing, home decor and lighting, and arts and crafts. The Nostalgia on 9 Flea Market is open Monday through Saturday from 10:00 am to 6:00 pm and Sunday from 12:00 pm and 4:00 pm, year round. Shipshewana Auction & Flea Market is set on 40 acres of land in Shipshewana, Indiana, and is home to more than 900 open-air booths selling a variety of goods, ranging from antiques, home decor, vintage collectibles, and furniture to clothing, fresh produce, arts and crafts, and work tools. Hailed as being the Midwest's largest flea market, Shipshewana Auction & Flea Market also hosts auctions for antiques, furniture, horses, and livestock in the Miscellaneous & Antique Building every Wednesday. 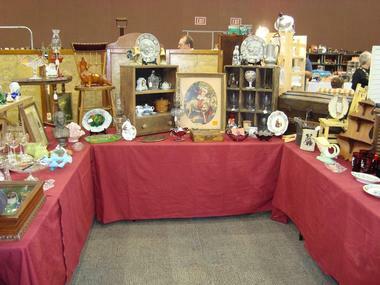 The Shipshewana Auction & Flea Market is open May through September. Boasting six flea markets around the state, Trader Buck’s Flea Markets is a family-owned and operated business that provides easy and convenient shopping for new and second-hand goods, 7 days a week. Trader Buck’s Flea Markets offers space for vendors to rent in huge warehouse spaces in Danville, Crawfordsville, Lafayette, Frankfort, Indianapolis, and Terre Haute as well as the opportunity to sell their wares, which can range from antiques, home decor, and vintage collectibles to furniture, clothing, fresh produce, arts and crafts, and work tools. The different markets are open at various times during the week, throughout the year. 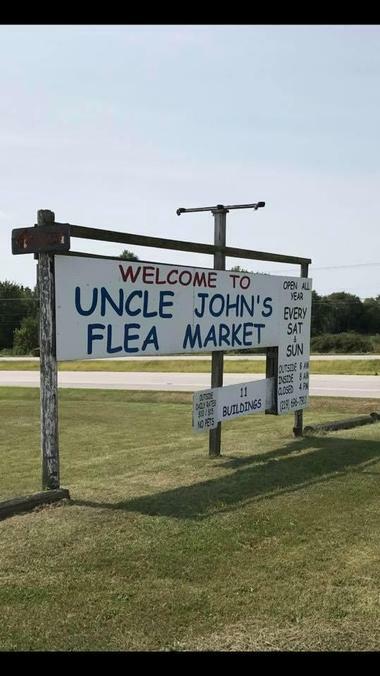 Situated in Indiana’s Lake County, Uncle John’s Flea Market is a traditional-style flea market with numerous vendors selling a variety of goods and wares, including fresh fruit and vegetables, dairy products and homemade goodies, antiques, vintage collectibles, and clothing. Spread across several large barns on Wicker Avenue in Cedar Lake, Uncle John’s Flea Market is open every Saturday and Sunday, year round, the market sells fresh local produce from surrounding farms and artisan producers as well as a wealth of other products, including unique items and rare collector pieces, which are sold in the “Top of the Hill” barn. Located in Kokomo Plaza on Reed Road, Vendor City Antiques, Flea Market & Consignment offers over 58,000 square feet that house over 200 booths with vendors selling a wide variety of goods and items, from antiques, vintage collectibles, clothing, and household items to new and second-hand items, furniture, home décor, and more. Vendor City Antiques, Flea Market & Consignment is open Monday through Saturday from 09:00 am to 7:00 pm and Sunday from noon until 6:00 pm, 7 days a week. There is ample free and secure parking at the flea market for visitors. White’s Farm Flea Market is located on Holland Road in Brookville and offers an array of bargains and treasures for both buyers and sellers. Open every Wednesday throughout the year from daylight until noon, and every Tuesday from May through October from 5:00 pm until dark, White’s Farm Flea Market is situated next to Little Cedar Baptist Church, the oldest church in Indiana. The market features both indoor and outdoor booths that sell an array of items including antiques and collectibles, arts and crafts, handmade clothing, merchandise, and fresh produce. There are several food and beverage concessions as well as ample free parking, and live music can be enjoyed on the Lonesome Longhorn Stage on Twilight Tuesdays. Vendors' Village of Jeffersonville features five flea markets in Clarkesville, Dansville, Jeffersonville, Leitchfield, and Valley Station. 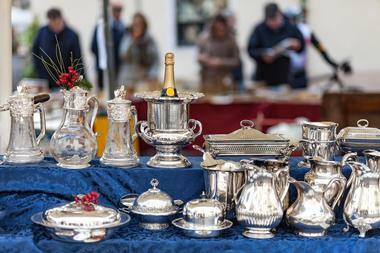 The flea markets host numerous vendors that sell a range of antiques, vintage collectibles, home decor and furniture as well as clothing, fresh produce, arts and crafts, and more. Visitors can also enjoy homemade food and beverages during their visit to the flea market, which is open Mondays through Saturdays from 10:00 am to 8:00 pm and Sundays from noon to 6:00 pm.